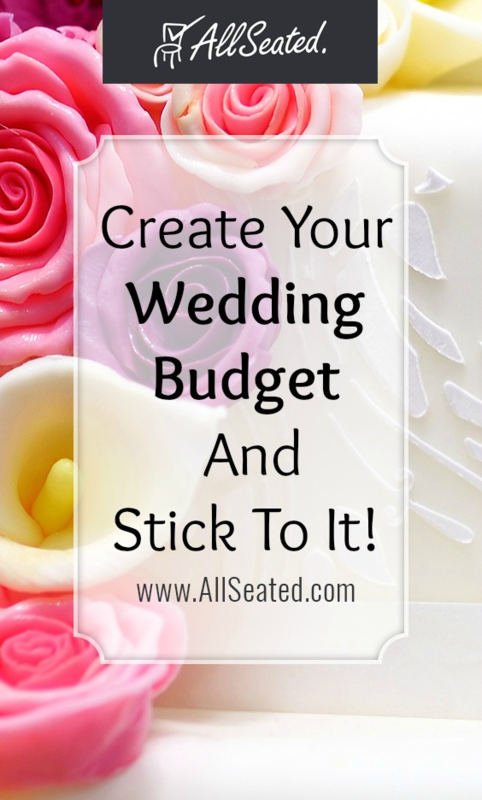 Home > Blog > How To Create A Wedding Budget – And Stick To It! How To Create A Wedding Budget – And Stick To It! Creating the wedding budget for your wedding should be one of the very first things you do when starting the planning process. To start, you’ll want to sit down with your fiancé and figure out how you’re going to pay for the wedding – are you paying for it yourselves? Are your parents paying? Or will you and your parents both be contributing? Whichever you decide, be sure that everyone is on the same page when it comes to amounts and level of involvement. Before you start creating a spreadsheet with line items and percentages, you have to come up with the actual amount you want to spend for your big day. The best way to tackle this is to first find out where everyone’s comfort levels are. To do this, you and your fiancé should each come up with your scary number, aka what you would definitely not be comfortable spending. Make sure you get on the same page before you move on. After that, come up with a range that you feel comfortable with and then work your way to an ideal number within that range that you’re both happy with. This becomes your budget and the number you’ll use going forward, with the knowledge that you have a range that you feel comfortable with if you want to spend more. After you’ve got the magic number locked down, it’s time to break out those spreadsheets and start allocating the money in your budget. First and foremost, you’ll want to start with your biggest expenses, your venue and your food and beverage. The numbers will vary slightly for every wedding, but you’re going to want to allot about half your budget to these items. After taking care of the biggest expenses, you’ll want to move on to the items that are important to you. This can include items such as your photographer, music, stationery, flowers, etc. The amount that goes into each of these areas is very subjective, and will be different for every couple depending on what their wedding vision is. If photography is most important to you, then allocate more of your budget there and take away from another area that is less important. The remaining funds of your budget should be divided up between items that you still want to have at your wedding, but aren’t quite as important. You should also be sure to include a small miscellaneous budget for unexpected expenses that you didn’t think of, like tipping or your marriage license or those super cute cocktail napkins. Sticking to your budget is crucial, but it’s important to remember to be flexible with your allocations, because how you feel about certain items when you create your budget may change as you start getting into the wedding planning process. Shift your allocations as necessary, but in order to stick to your budget you have to always remember to spend your money on the items that matter most to you and then compromise elsewhere. Recently Engaged? Here’s What You Need To Do First!